Unfortunately, sometimes when there is divorce and/or death within a family, there are also visitation-related disputes. 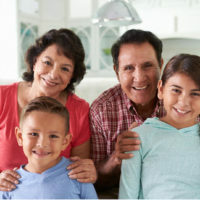 While the courts will always be most concerned with what is in the best interests of the child, it is also important to note that grandparents do have certain visitation rights under some circumstances. One parent is deceased, missing, or in a persistent vegetative state, and the other parent has been convicted of a felony or another offense involving violence which poses a substantial threat of harm to the minor child’s health or welfare. If a grandparent wishes to obtain court-ordered visitation with the grandchild, they would petition the court for visitation, whereby the court would then hold a preliminary hearing to determine if the petitioner/grandparent has made a prima facie showing of parental unfitness or significant harm to the child. If the court finds that there is evidence of significant harm to the child, it may appoint a guardian ad litem and refer the matter to family mediation. The court can also proceed with a final hearing if family mediation does not resolve the issue. The court is ultimately empowered to grant reasonable visitation to a grandparent if it finds that a parent is unfit, there is significant harm to the child, that visitation is in the best interest of the child, and that the visitation will not materially harm the parent-child relationship. If you are seeking to establish visitation rights with a child—or fight them out of concern for your child—it is crucial that you work with a trusted attorney who is experienced in family law and works within the local courts such that they have an understanding of how family law proceedings work. 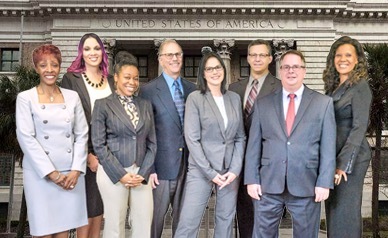 The family law attorneys at HD Law Partners have been practicing family law in Tampa and Orlando for over 50 years combined. We have a commitment to our clients in ensuring that their rights and interests are protected, especially when it comes to child custody and visitation issues. Contact us today to find out more about the services we can offer you and your family.